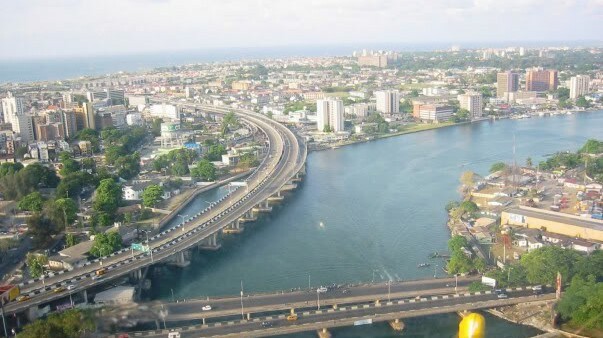 Lagos is the economic powerhouse of Nigeria and possibly the largest city in Africa. Named after the Portuguese word for lakes, Lagos has been a Yoruba port, a British political centre and, until 1991, the nation’s capital. The city today is a bustling, densely populated metropolis throbbing with wall-to-wall people, bumper-to-bumper cars, noise, business hustle and maxed out public utilities. Elevated motorways linking the island city are jammed with speed freaks, traders and absurd traffic jams. Everything the modern traveller needs for the ultimate urban adventure. Lagos has an exploding arts and music scene will keep your going well into the early hours of the morning. If you’re headed to Nigeria, you’ll definitely must spend time in Lagos….a city like no other! The Lekki Conservation Centre was established in 1990 as biodiversity conservation icon and environment education centre consisting of swamps and savannah habitats. The centre was established, maintained and financed by Chevron Project for environmental support of the country. It conserves the animal and plant species within the habitat which is home to crocodiles, monitor lizards, monkeys, hogs, mongooses and an impressive variety of birdlife. The conservation centre has a children’s play ground and several rest places. The reserve is a resort which provides the serenity and beauty of nature in a world class environment. For those with a corporate agenda, there is a cone-shaped building which serves as the auditorium for lectures, conferences, and seminars. The centre is really a 1.8km nature trail behind the main buildings in which you are ushered in by two wooden tracks. A spine chilling 70 foot-high tree house where you can have a panoramic view of the reserve, picnic area and playground. Park rangers are available to be your guide into the reserve. Tarkwa Bay is a man made sheltered bay and beach created during the formation of the Lagos harbour. It is easily and cheaply reachable by boat from Tarzan Jetty at Maroko, Osborne Jetty or under Falomo bridge on Victoria Island. This is the perhaps the most popular beach especially amongst tourists. Compared to other beaches like Bar Beach & Oniru Beach, which are crowded at weekends and are unsafe for even the strongest most experienced swimmers due to rip tides and strong undercurrent along the costal beaches, most expatriates prefer Tarkwa Bay with it’s low undertow which makes for a pleasant outing and safe bathing even for children. The bay has its own resident community, most of whom make their living from the tourists who visit the beach for chill-axing and even engaging in water sports like jet skiing and water skiing. Lagos Nightlife – The fun in Lagos really starts when the sun goes down. Lagos offers excellent restaurants, nightclubs, film houses and hotels for visitors. The city offers excellent restaurants serving a diversity of cuisines. The finest restaurants are in big hotels but other pleasant places can be found all over the city. Classic Nigeria cuisines, such as Amala, Pounded yam and Foofoo with vegetable soup such as Efo, Egusi, Okro, Bitterleaf etc. Well treated ‘goat head’, Isi-ewu, and catfish pepper soup are special delicacies. Continental dishes are also available across Lagos. Several steak and seafood houses has opened in recent years however Chinese cuisine remains the most popular in Nigeria and several oriental restaurants are found in many locations in Lagos. There are also popular ‘joints’ where you can kick back and enjoy our world famous grilled beef called ‘suya’ washed down with traditional drinks like palm wine, bitters or kunu. Fela’s Shrine – Fela Anikulapo Kuti, probably Africa’s greatest music export, built the original shrine in the 1970s. The shrine is the spiritual home of Afrobeat – a musical style or preferably musical movement Fela created. Fela Kuti’s original Shrine was set ablaze by the military almost 40 years ago. The shrine today – now called the New African Shirne – is run by Femi Kuti (Fela’s equally famous son) located on Nerdc Road, Agidingbi Ikeja. The New Africa Shrine can be viewed in various perspectives i.e. concert hall by night, social drop in centre in the daytime, living space, a place for political instructions, a temple. Just by showing up you’ll get a political education, a scandalising lesson in shakin what your mama gave you. When Femi Kuti is in town he does open rehearsals on Tuesdays and Thursdays and proper concerts on Fridays and Sundays to a full house of revellers. Femi’s music continues his Fathers fight against corruption and promotes Pan Africanism. When Femi is outside of the country on tour, the place can be rather empty, however, there is always club night out every Friday and the New Africa Shrine is always jam packed from 9pm till dawn. Seun Kuti (Femi’s younger brother) performs every last Saturday of the month. ‘Smoking’ is prevalent so relax and imagine yourself in Amsterdam if you are not used to seeing people ‘smoking’ so openly. Right beside Tarkwa Bay is the Lighthouse Beach, named after the 110-year-old lighthouse that guards the entrance to Lagos harbour. This is the ideal chill out place to turn some of the grey hairs back into their natural colour. The Lighthouse can just be seen from the beach, and is definitely worth a visit. The walk along the beach between Tarkwa Bay and Lighthouse Beach is very pleasant, very romantic– and at times you can be the only persons on the beach (need I say more). Otherwise you can sit with your partner and watch the many ships queuing up to enter the port on the nearby horizon. Bogobiri house is much more than a sixteen room boutique hotel in high brow Ikoyi. In the evening it’s a lovely place for a drink and a meal – mellow in the day and rocking at night. There’s an attached art gallery with works from local artists, and at weekends there’s usually live music, poetry etc. In close to a decade of operation, Bogobiri has become a hub for the promotion and appreciation of art, music and local knowledge. Terra Kulture – Terra Kulture is located in Victoria Island and is a privately owned educational and recreational centre; an ideal place for lovers of African art and culture. Terra kulture has a mini library or information centre on Nigeria and Africa; stocked with books, contemporary journals and magazines and wireless internet facilities and flat screen computers for its members. Terra Kulture is a very popular spot amongst the expatriates community and it offers visitors an opportunity to see Nigerian arts and crafts in display for those wanting to learn about Nigerian cultures and languages. The centre also features a multi-purpose hall with facilities for drama presentation, conferences and seminars; and a cosy restaurant portraying the richness of Nigerian cuisines. Opened just before Nigeria’s independence in the late fifties The National Museum has great collections in archaeology, ethnography and traditional art. Located in Onikan, Lagos, National Museum displays contemporary arts and historical monuments. This is one of the best in Africa and definitely your time. The Benin bronzes are the star attraction. Others are the numerous wooden doorways, masks (some covering the entire body) and house posts etc. Another gallery dedicated to traditional symbols of power contains carved ivory and a royal host of crowns. The museum houses the bullet-riddled car in which the late General Murtala Mohammed was assassinated in 1976. This museum also operates a nonprofit crafts centre, which stocks a good range of batik cloth, woodcarvings and textiles at fixed prices. There’s a fine range of intricately decorated calabashes from across Nigeria. The museum has a small crafts village with woodcarvings and other handicrafts for sale at fixed prices; you might also see a demonstration of adire – cloth-making from Abeokuta. It opens daily (except Sundays) from 9am to 5pm. Badagry Town – Badagry is a small coastal town located between Lagos and Seme Border, Benin Republic in which exists the Ancient Slave Port of Badagry-also known as the ‘Point of No Return’. This ancient town of Badagry was founded around 1425 A.D. Before its existence, people lived along the Coast of Gberefu and this area later gave birth to the town of Badagry. It is the second largest commercial town in Lagos State, located an hour from Lagos and half hour from the Republic du Benin.. The town has a personality of its own. Its proximity to Lagos has always made it more significant than some small towns in Nigeria. Although, Lagos has a hassled and rugged atmosphere, Badagry has a quiet vibe with laid-back locals. Nike Art Gallery is at No 2, Elegushi Road, 2nd Round About, Epe Expressway, Ikate Cross Road, Lekki Phase 1. It is run by Artist and Designer Nike Davies Okundaye. A great place for art lovers and buyers. While there, you can browse the art gallery featuring the whole panoply of Nigerian arts, or see some of the documentaries that have been made about Nigerian culture. Students at the Nike Art Centres engage in a variety of arts. At the centre, traditional arts are practiced, such as indigo dying and sculpting, and also non-traditional arts such as painting and quilting, as well as other cultural activities such as drumming and dancing. The centre also organizes tours and accommodation for tourists.